I am pleased to announce that my latest body of work, "Pollination," will open on September 12 at Ronald Feldman Fine Arts, 31 Mercer Street, NYC. The show addresses many facets of pollination as a fertile exchange, including bees, commerce, human relationships, spirituality and technology. 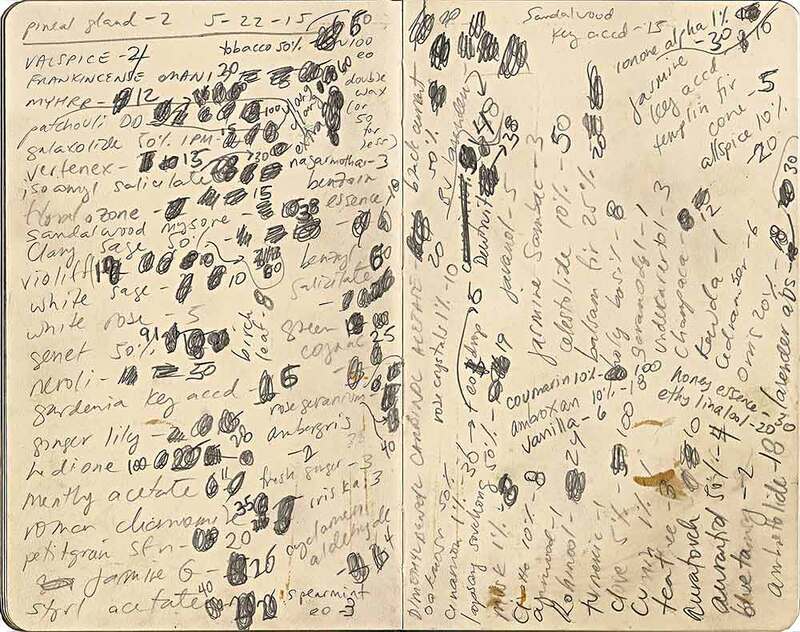 Works include large-scale sculpture, kinetic sculpture, works on paper and perfume. A public reception will be hosted at the gallery on September 12 from 6 - 8pm. The show runs through October 24. For more information, please sign up for my mailing list or contact Ronald Feldman Fine Arts: (212) 226-3232. 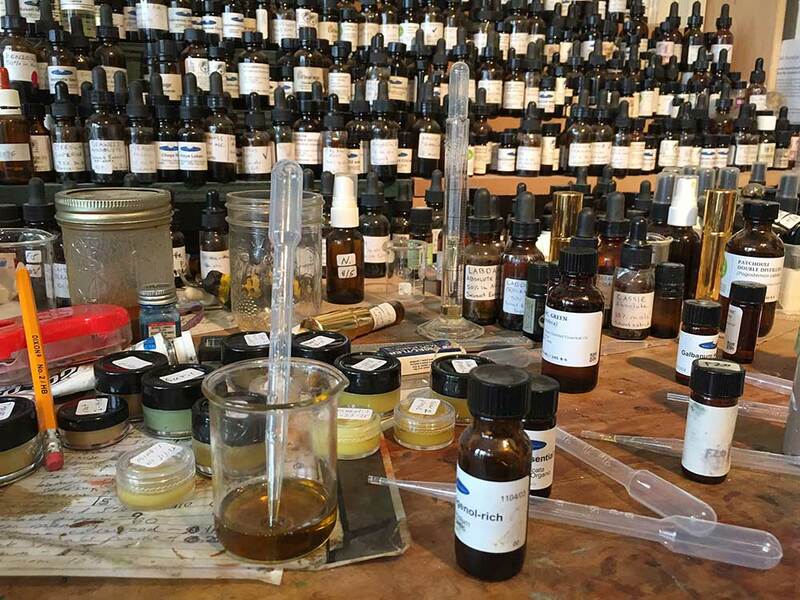 For my upcoming show, Pollination, I am working on a series of conceptual perfumes that relate to artworks in non-fragrant media. 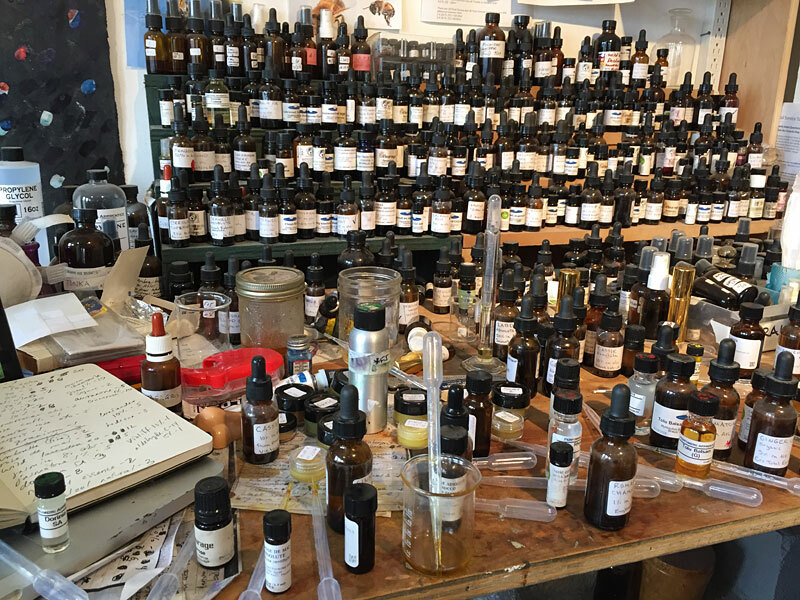 Here are some images of my perfumer's bench; and part of a sculpture that artfully invaded my desk for a time. 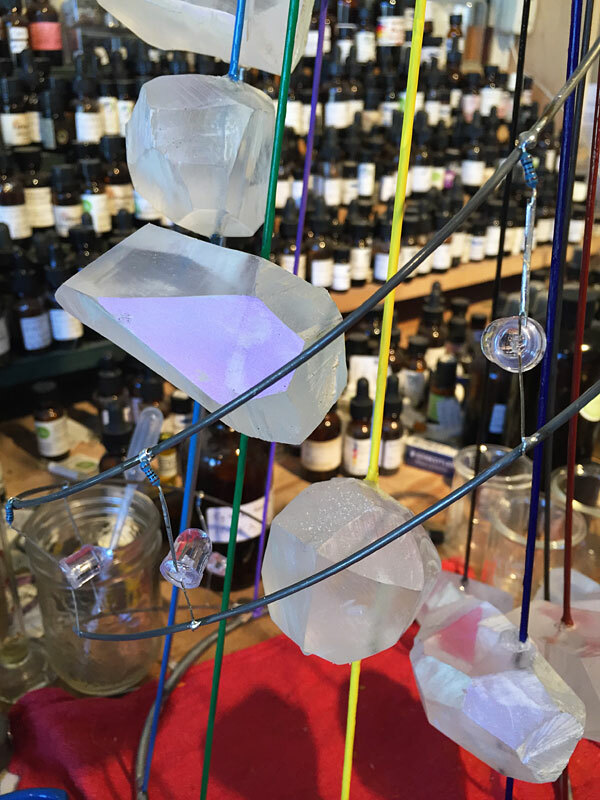 What intrigues me about fragrance? Where to begin. Smell is our most ancient sense, touching our memory to the core. 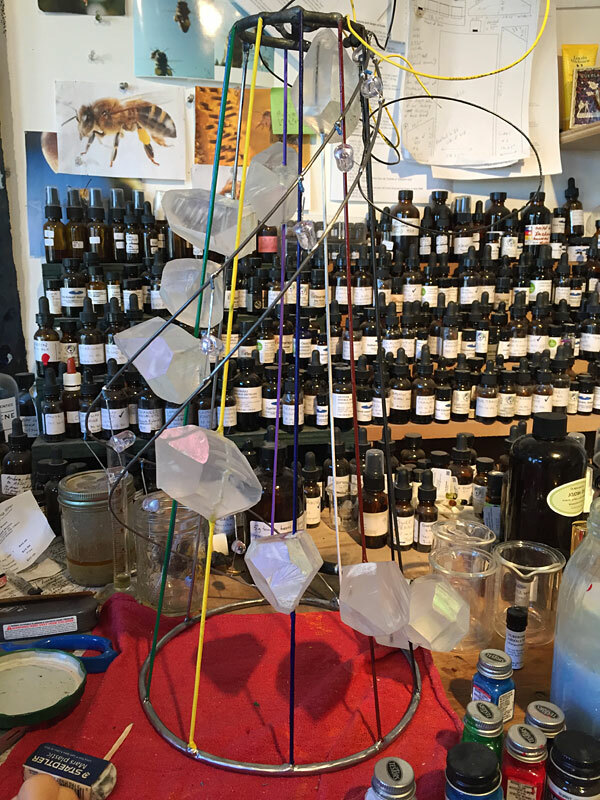 Why would a visual artist learn to make perfume? 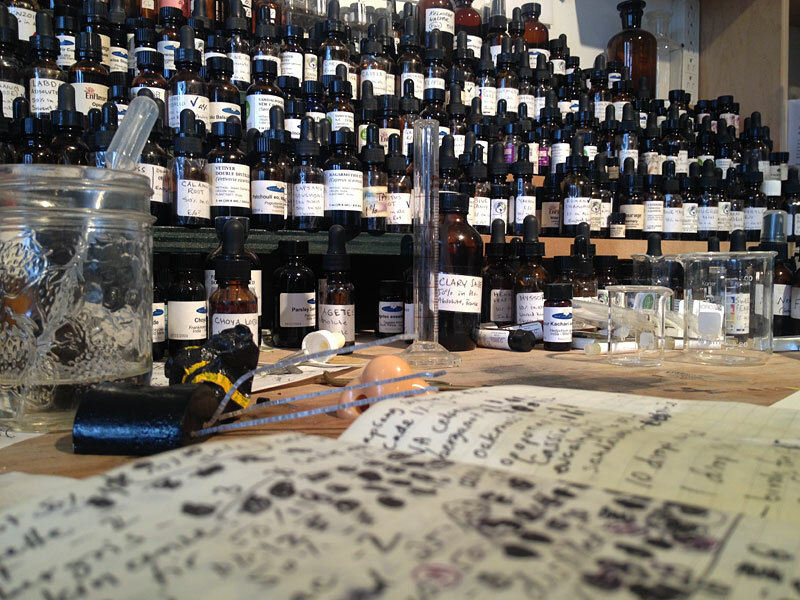 Scent, color, kinetics, sound, taste, visions, touch: these are all various experiences of waveforms. Humans only have so many tools to perceive and therefore understand the world; I intend to explore all of them because what I care most about are the waveforms, the jiggling energies beyond our mortal veil of senses. The more ways in which I can experience a priori signals, the closer I feel to the truth of their nature. Not to mention, how could any body of work on the topic of pollination avoid fragrance? I would surely be stung in retribution. 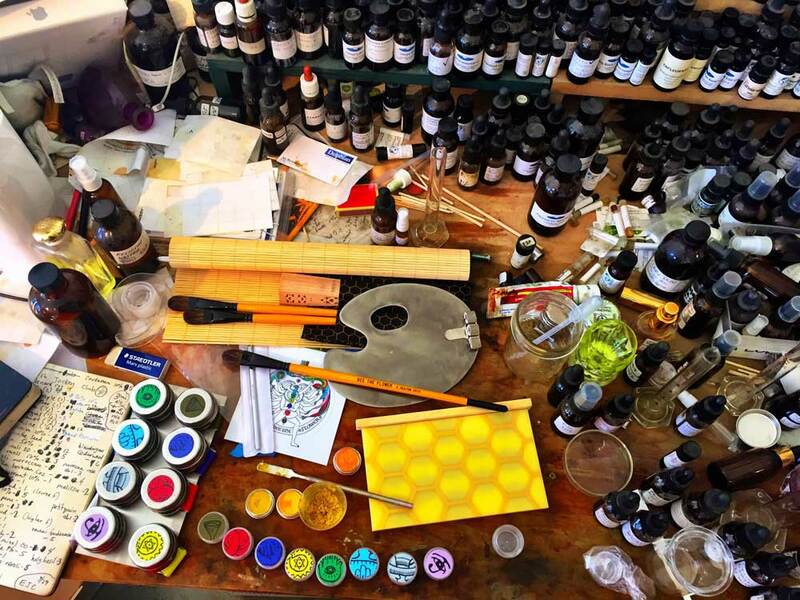 I will also add that perfumery, watercolor painting and cooking all extremely similar in my experience. 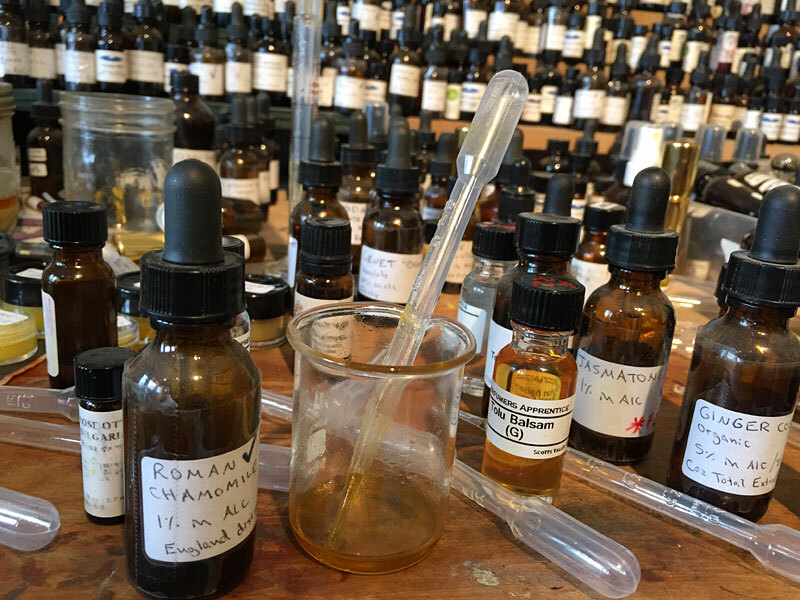 I understand why perfumer and author Mandy Aftel puts essential oils in her food: I find it increasingly difficult to distinguish one sense from another. The closest relationships are smell, taste and color. 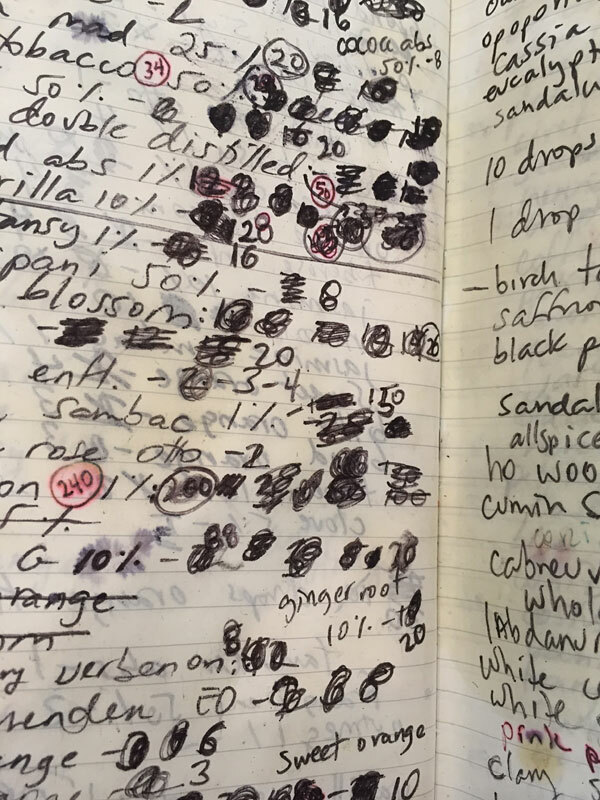 Line and texture map to rough, gritty or other textural scents, but color is my predominant synesthetic experience of fragrance and taste. And vice versa: color has scent and flavor. By comparison, my experience of electrical engineering is most closely represented in sound and movement. Electronics are more like dynamic line drawings of immense complexity.